New Year, New Hair with Splat Naturals! Who remembers when I dyed my hair purple two years ago? I can’t believe it’s actually been that long. It’s not often that I go outside my comfort zone when it comes to hair. In fact, I’ve planned to go back to the dark side this winter after being blonde for ~4 years. Before going back though, I decided to go purple again because why not?! Plus, I got the opportunity to partner up with Splat to try their new line, which is a 95% natural formula that is semi-permanent. It’s supposed to last up to 30 washes! Since I don’t wash my hair everyday, I figured it would give me some time to enjoy a fun color before going back to my natural color. I actually debated between blue and purple. After thinking about it for a few days, I ended up sticking with purple. Some friends who had experimented with blue in the past had warned me about hair fading into a sea green and I didn’t want to risk that. Plus, it’s been a long time since I dyed my hair not at a salon. So naturally, I wanted to be on the safe side. Dying my hair at home again gave me major flashbacks to high school days when I would dye my hair behind my mom’s back because she wouldn’t let me LOL! Thinking of trying a rebellious color at home? See how I did it with Splat Naturals! 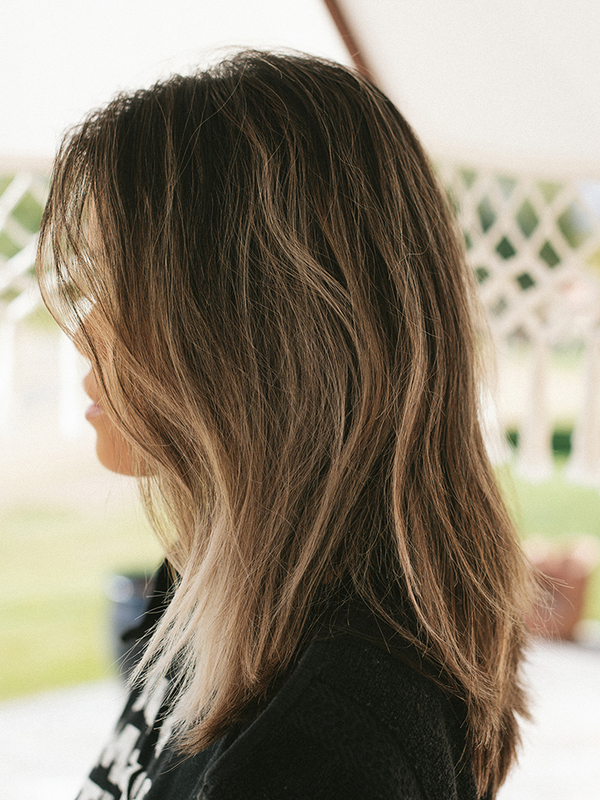 Since I already had a bright blonde balayage going and simply wanted my blonde streaks to absorb the purple, achieving my desired results was a breeze. But, Splat has a lightening bleach kit with everything you need & detailed instructions on how to lighten up in case you’re starting out with dark hair. If you’re like me and starting off with blonde, then you can go straight into applying the color! Once you’ve gathered all of the above materials, it’s time to have some fun! Let’s get started. Step 1: Wear an old, dark shirt and cover your countertops and sink with the dark towels. Step 2: Set all of the materials on top of the towels & squeeze Splat Naturals formula into the bowl. Step 3: Section off hair so that you can focus on application one layer at a time. Apply Vaseline around your ears and other places that are likely to catch color to avoid any staining on the skin. 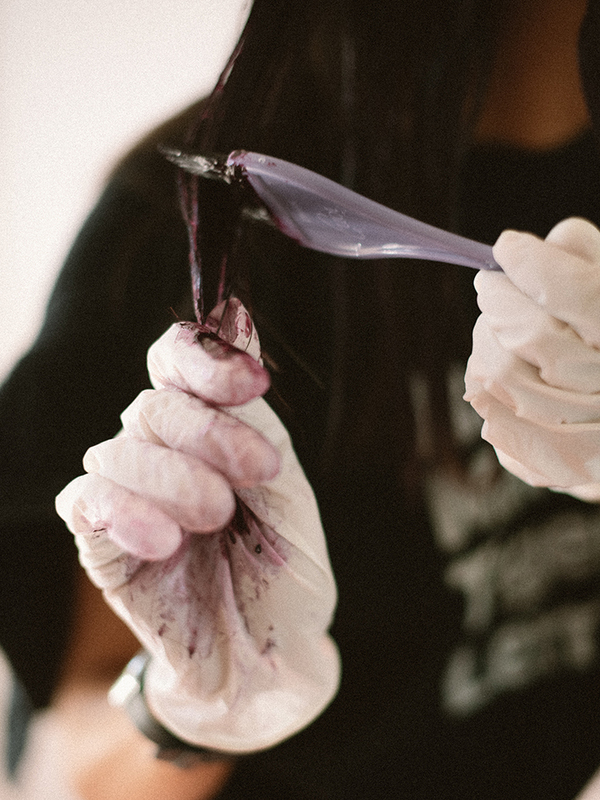 Step 4: With gloves on, use the hair dye brush to apply the formula generously onto your hair, one section at a time. 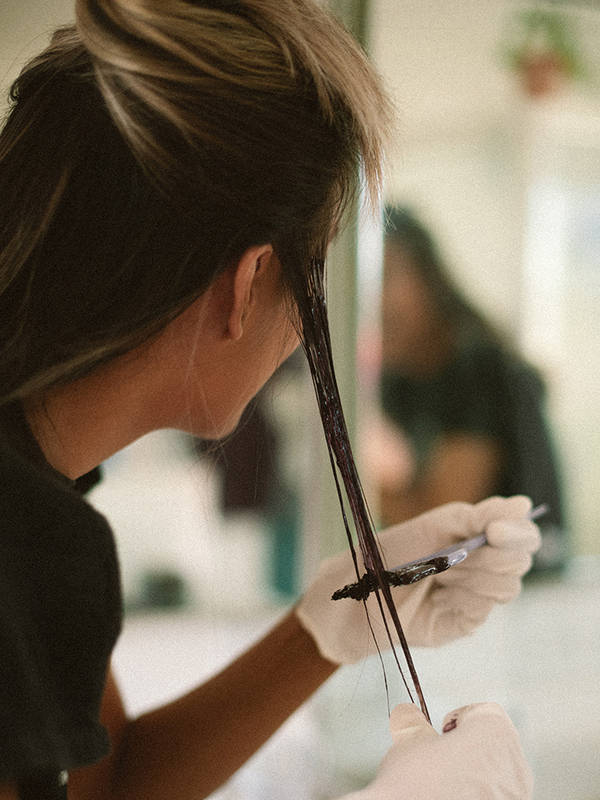 Try your best not to get the scalp because the color can be stubborn to wash off of skin. Step 5: Repeat steps 3 & 4 as needed. Step 6: Check to make sure all hair you want colored is covered in the formula. If you are dying the whole head of hair like I did, then I recommend using a comb to comb through the hair. That will help to make sure that everything is evenly distributed! Step 7: Set a timer for 60 minutes if you have fine hair like I do, or 75 minutes if you have thicker hair that doesn’t absorb color as quickly. Let the dye sit for the allotted time. I personally recommend clipping up the hair so that the color doesn’t get all over your skin while you wait. Step 8: Hop in the shower and rinse hair with cool water (to lock in color) until the water runs mostly clear. Step 9: Shampoo & condition hair as you normally would. I suggest using purple shampoo & conditioner if you’re going purple as that will help to keep the color looking rich for as long as possible! Otherwise, a sulfate/paraben-free shampoo & conditioner will do. Step 10: Dry hair with an old towel as Splat Naturals can stain your towel. Then, blow dry & style as desired! Although I was nervous at first, I immediately fell in love with the outcome after washing. It actually came out darker than the first time I went purple. Instead of a lavender-ish purple it’s more of a deep, yet bright purple! I’m curious to see how it will fade over time, but for now am definitely enjoying this beautiful color for as long as I can. It’s been about 5 washes now and the purple doesn’t seem to have budged, despite some color running in the shower each time I wash my hair. I love how vibrant it is!!! Have you tried a rebellious color before? Check out @splathairdye on Instagram and their hashtags #SplatNaturals #SplatSquad to get inspired! Splat is launching their Naturals line online & at Walmart, CVS, and Ulta stores starting on February 1, 2019. Previous My Updated Self-Tanning Routine & Products I Love! Thanks Denise! I was pleasantly surprised at how beautifully it turned out too because it’s been a long time since I’ve done my own hair at home haha 🙂 loved how easy Splat made the whole process! These photos are sooooo pretty! Love how your hair turned out and can’t believe you did it at home! Excited to see Splat Naturals in stores soon. I’ve been itching to try Pink personally! Wow Sharon! Your hair looks AMAZING! First off I can’t believe you achieved this hair color at home by yourself! Secondly, I can’t believe how healthy and gorgeous your hair looks after the color too. I am so excited for your new hair! Splat Naturals sounds amazing and I even want to try it on my kids’ hairs because they’ve been dying to color it. LOL. I can’t wait to see how your color grows out. 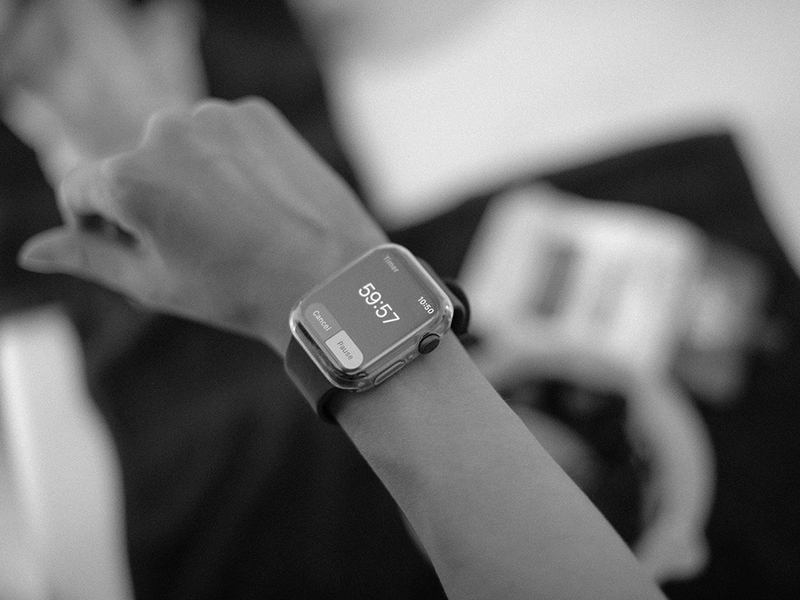 Thanks for sharing this brand! Thank you Christine! I’m glad that you like how it turned out too. It really helped that I already had a solid blonde balayage going, so the purple really latched onto that strongly! It still is showing no signs of fade and it’s been about 7 washes now. So amazing! You should definitely let your girls give this brand a try. My hair has held up really nicely and doesn’t feel damaged at all 🙂 Splat Naturals will come in several exciting shades. Check back on February 1st at Walmart, Ulta, or CVS to see what they are! 😉 I’d love to see your girls try the fun colors, so definitely please send me photos if they do! Omg I’m obsessedddd with this!! It looks absolutely amazing! How vibrant is that purple?! I actually dyed the underneath part of my hair pink a few years ago and sometimes I’m really tempted to do it again. Your hair looks SO fab. Thank you so much Megan! I am so surprised at how vibrant the purple came out too! And love that it’s still dark at the same time so doesn’t look obnoxious or anything lol. I have yet to give pink a try! My hair is too dark for this but yours came out awesome! Personally, I have not tried dyeing yet, having a black hair ! But to know that there are natural product for a coloration as beautiful and perfect, reasures me. I know, via you, that this will be able to do. Your hair color is gorgeous! I’ve actually never dyed my hair before, just because I’m lazy to maintain it haha. Still, I like that there are natural product options for if I ever change my mind! OK so I have to be honest…..I’m usually not very into colored hair but your hair looks SO AWESOME!!! I’m obsessed!!! It looks so pretty on you! Definitely gonna have to try this color out! OMG THIS IS STUNNING. You look amazing. I like it. I am going to the salon next week and want to go pink, but I am too chicken. Thanks Robin! Hair grows back and the pink will fade back to blonde 😉 I say go for it! That color looks amazing in you!! I dyed my hair purple too and I love it. Need to try this product for sure. I have to get this! Your hair looks so amazing, and I’ve been thinking about trying something really bold with my hair. Your hair looks so beautiful like this! I love it so much. 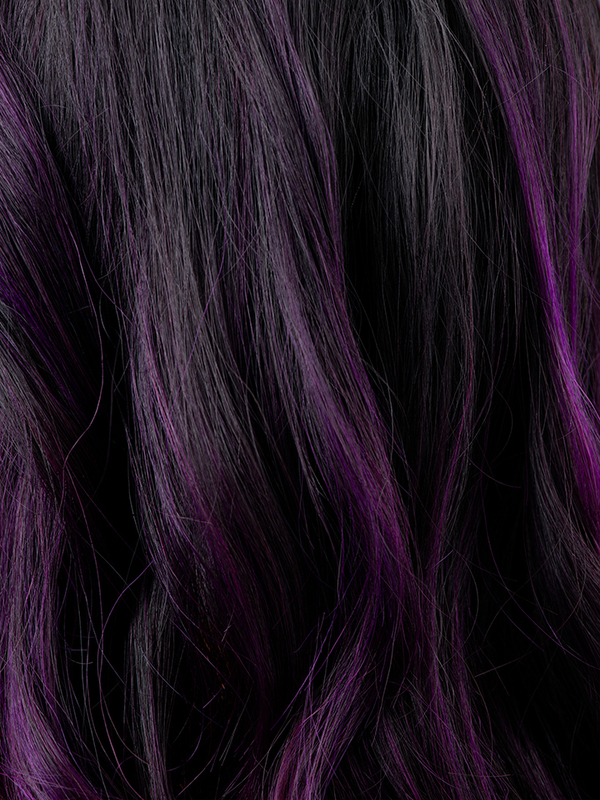 No one can rock purple hair quite like you, girlfriend! I absolutely love how this turned out. So vampy and perfect for winter. WOW THAT LOOKS AWESOME! Good call on that color too, it works for you! Thanks Johnny! Really appreciate it! Your hair looks incredible and you make it look so easy! That price point is amazing too! I love this color on you, the purple suits you so well and your hair looks FABULOUS! Thanks Theresa! Your niece is so brave haha I want to know how the blue is fading for her! Lol bleach is definitely my best friend when dying my hair at home!! That purple is GORGEOUS! Such a beautiful choice, and it took to your hair so well! Thanks Andrea! How well it took to my hair truly caught me by surprise! I love the look that this dye offers! Hair dyed bold colors is usually too bright or unnatural for me. Splat is more my style. I’m quite impressed myself so I know what you mean! Thanks! Your hair looks unbelievable. That color is definitely you. Your photography is fantastic. Great pics. I love purple and you have just made me want to color my hair purple! That color looks like it would be a lot of fun to use. The dark purple is pretty. You’re lucky it took so well. I tried to do blue for my son but his hair is so dark it didn’t show up well and I didn’t want to bleach it. I should have went with Splat if it has that lightening kit included. Thank you Rosey! 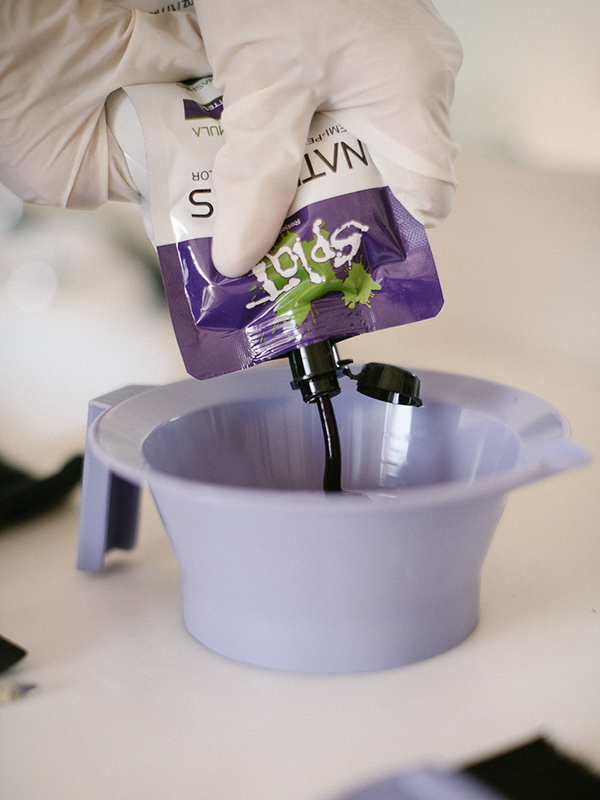 Yes, Splat has a lightening kit that you can use that will help the hair take the color! Wow that hair looks wicked and electrifying! I remember when I dyed my hair red. The upkeep and constant maintenance made me not want to do it anymore. It’s hard to maintain the color but it’s totally worth it. Thanks Nero! Yes, I know what you mean. I didn’t want to worry about maintenance either. Luckily, my hair has held up pretty well and still has barely faded since I colored it haha! Oooohhh! So glad you also went for a nice change 🙂 Violet is a beautiful color! I’m loving the end result, such a pretty colour, and you look amazing! Those are pretty nicely highlighted colors, Sharon. It looked like you had it done by a professional in a salon. Thanks! I’m flattered you think so! Wow! That color is absolutely stunning! You did an amazing job! Wow your hair looks amazing and I’m super impressed you did that at home!! Thank you! I am surprised at how nicely it came out too! That purple is so vibrant and it really suits you! I think you should stick with purple! I have to say your hair looks amazing! I love that it’s gentle on your hair, unlike some hair dyes. Thanks so much, Brianne! I couldn’t agree more. Most dyes irritate my scalp and dry out my hair. Not this one though! This color looks stunning on you! I love this shade of purple! Wow! that is a great look for you. With the ease you showed in doing it, I could see my wife trying it at home for a change, although I love hair just as it is. Thanks Bill! Haha my boyfriend would agree with you on that! looks AMAZING congrats!! very courageous to do such a change!! nice that you mention all the benefits and i never thought these products could be vegan or gluten-free! very interesting and great pictures! Everything about this color, your makeup and styling is on point. Amazing job! Your specific instructions will be helpful to anyone who wants to change their hair color at home. I’m glad you found it easy to follow, Carole! I’m currently giving my hair a break, but this color looks so gorgeous! Gorgeous! I love the step by step instructions. My daughter is always wanting to do something like this. It’s a little intimidating but I feel like I can do it now. Omg! I’m definitely gonna try this! I’ve had purple hair many times in my life and I need it back! Love your hair! I’ve always wanted to try purple, but as a teacher, I don’t think it will go over well with our administration. 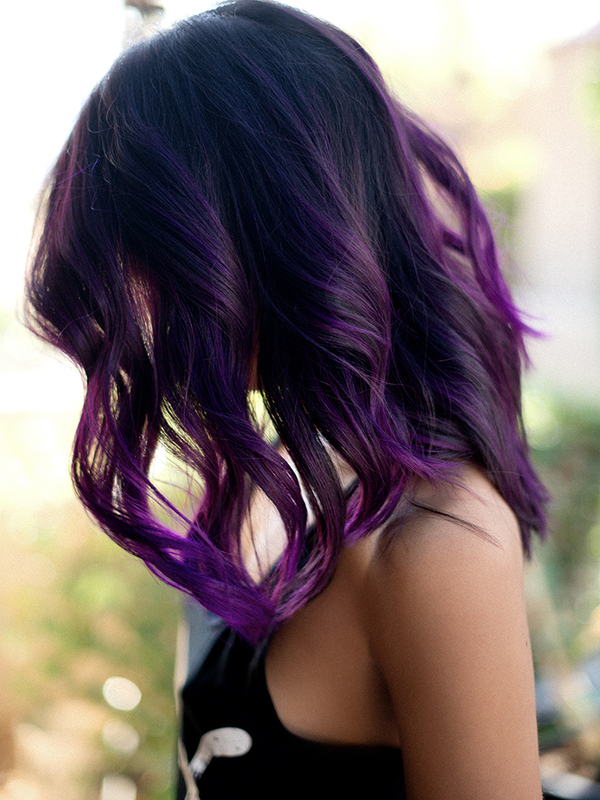 I’m not brave enough to try purple but this color is fierce on you girl!! That hair color looks great on you. I mean, not everyone can rock purple hair color like you do. I dye my hair too, but only for the reason of “masking” the grey hair. I don’t think I’m brave enough to die my hair purple, even if it’s temporary! You are rocking this color though, babe! I love it on you, xo. Whoa! Purple is a great color on you! I have to try this product, I so want to get some pink hair. The color is sooo fabulous on you dear! Love it! Blonde was as rebellious and I cant go back to that color because of breakage. I love this color and it looks so vibrant on you its fun! Thanks Kiwi! Sometimes our hair definitely needs a break! Girl, you look AMAZING! The new color looks wonderful on you! Definitely a great product because despite the coloring, your hair looks so silky and healthy! Thank you! Yes!!! I was amazed at how silky and healthy looking my hair was after the process! Oh wow! I love that shade. You are totally rocking that purple hair! I wish I had the confidence to try a different hair color! This looks beautiful on you. I love this color!!! So, so pretty! You look fantastic dear!! loving your change! I used Splat! Midnight Amethyst a little more than a month ago. How often should I wash my hair? And how long should I expect to see purple in the drain when I wash it? Btw the color looks great on you! I love how mine turned out too! I have always wanted to do a bold color in my hair! I really, really love this bolder color in your hair! This purple is just stunning on you! I adore this color it’s so vibrant and shiny this product seems to really do amazing things. I thought you had this color done at the salon!! It looks sooooo professional and looks so good with the eye makeup you did <333 gorgeous gorgeous!